At the start of a new year, many people traditionally set goals/resolutions for things they would like to improve upon during the year. 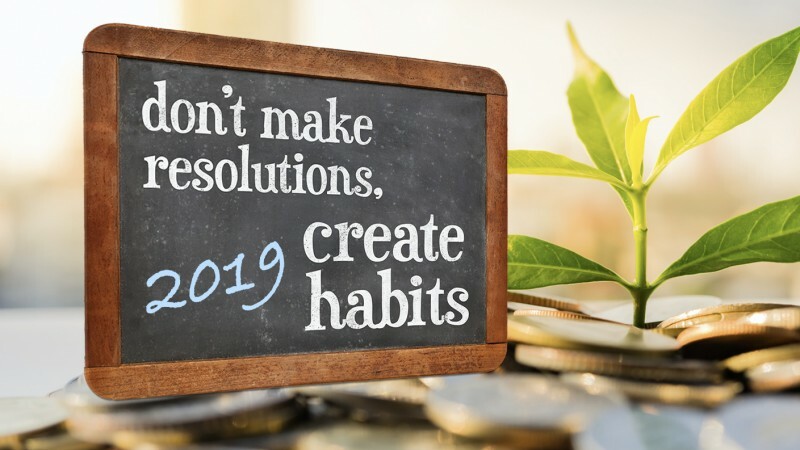 Aside from improving diet and exercise, personal finances is among one of the top resolutions people set for themselves. This article highlights some tips that you can use to make the most of your money and to protect your finances and privacy throughout the new year, and beyond. Follow these tips for making the most of your money and protecting your finances and privacy to start the new year off on a high note. Now that we’ve entered a new year, it’s a good time to step back and review your budget (or create one) so you can best plan for the year ahead. Smart budgeting helps you make the most of your money. A budget typically lists your income and your living expenses such as housing, utilities, food, insurance, and transportation. It also lists loan payments such as car or student loans. This worksheet from the Federal Trade Commission (FTC) can help you look at your monthly income and expenses. Creating a budget is a great way to determine how much money you can spend on items and how much you can put into a savings account/towards a savings goal. By having an understanding of all of your expenses, you know exactly how much you can spend on groceries and how much you can allocate to a savings account dedicated to buying a house or for emergencies. Listing all of your expenses in a budget can help you identify areas where you can cut spending. Reducing your spending can free up money for saving and paying down debt. For example, save money by packing your lunch and preparing breakfast and dinner at home. You may find other savings by asking yourself these questions. What do you need in a phone plan? Are you paying for more than you need? What are you paying for cable/satellite TV and Internet plans? Can you access your favorite sports and shows through a cheaper streaming service instead? How much do you spend each week on miscellaneous expenses? Would giving yourself a weekly cash allowance help you reduce that spending? Are there other areas where you can find savings? Plan on reviewing your budget whenever your financial picture changes such as receiving a raise or paying off a loan or credit card. January is also a good time to review the settings on all of your devices and apps, especially if you have any new devices. Many people use their devices for more than keeping up with family and friends. Apps make it simple to buy things, manage accounts, pay bills and much more. But accepting the default settings of any device or app can share more of your information than you might think. Devices come with features and apps that you may not use. Turn them off or uninstall them. For those you can't remove, check the settings to see if you can limit what they access. What permissions does an app need and why does it need them? Some apps collect data unrelated to the app and share it without your permission. What security and privacy settings are available for the device and for each app? Choose the setting that is right for you. What data does an app collect and what does it do with it? If you aren't comfortable with the collection, turn that feature off. If you can't turn it off, uninstall the app and find a better app. Location services can be useful but can also be used for tracking. Some apps may share your location. Is Bluetooth always on? Turning it on only when needed can prevent communication with unauthorized devices, sharing of information, and tracking. Review the settings after updating the device or app. After an update some apps reset to the default settings. Taking these simple steps to maximize your financial resources and protect your financial safety and personal privacy can give you a solid start to 2019.